Figure 1. 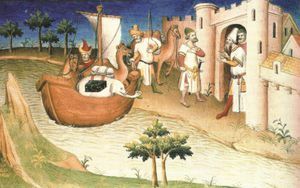 Marco Polo has been credited with bringing ice cream to Europe. Ice cream has been a popular treat that many see today as having developed relatively recently, as ice cream usually requires a form of refrigeration. While the modern form of ice cream is relatively more recent, the idea of ice cream has been present for millennia. Ice treats, which eventually gave us ice cream, were refreshing snacks usually reserved for elites or those who can obtain ice in times of warm or hot weather. The modern prevalence and look of ice cream can be traced to key developments in the industrial age, although its idea is much more ancient. It is not clear when the idea of ice cream exactly developed. However, already by the 2nd millennium BC, around 1800 BC, records from the ancient Near East state of Mari indicate ice was being collected for refreshment during the hot months. An ice house was built in the city of Terqa, suggesting the ice would be stored there during the winter months, when it may have been brought down from the mountains, and then successfully stored during the warm season. In China, at about the same time or even earlier, a flavored ice was known that resembles modern sherbet, where fruit would be frozen and flavored with honey or other sweet tastes. By the Achaemenid Persian period, around 500 BC, the Persians are depicted as using a type of grape concentrate which they would then mix with ice to create a cold, grape flavored treat. They would also use honey to give it a sweet taste. This seems to have been introduced to the Greeks after the invasion of Alexander, where records indicate the Greeks were doing similar things soon after Alexander's arrived in the region. Similar ice flavored treats continued in the Roman period. In the mountains of Italy, ice harvesters would be sent to get ice during the colder months and the ice would then be brought to Rome or other cities. Ice houses, which had sometimes underground chambers to keep the cool and were large in places, were used to preserve the ice. The ice, when it was consumed, was flavored with fruits and juices to create something akin to what we would call a slushy (i.e., mostly flavored ice) or a sherbet or sorbet, similar to what was evident in ancient China. It was only in the 16th century that the texture of what we call ice cream began to appear. By this time or perhaps in the 16th century, flavored ice was mixed with milk and cream. The presence of ice cream likely came via the Silk Road or it has been mentioned from the period of Marco Polo (Figure 1). Eventually, when sugar came from the New World, that was then also mixed with the flavored ice, milk, and cream combination to create the taste and look of ice cream we are more familiar with. The use of cream mixed with ice helped create the name "ice cream" or "iced cream" as it was initially know. This innovation probably came via Italy and France, where from there it spread to the rest of Europe. However, having ice required having ice houses, which were not common. Thus it was mostly a type of treat for royalty or consumed by upper elites of society and not widely available. Figure 2. 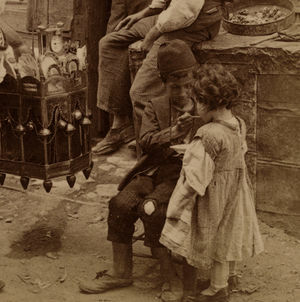 Children eating ice cream in the Ottoman Era. The 18th century saw the expansion of ice cream, where many shops and ice cream makers now operated. It was during the colonial period that ice cream was introduced to the United States, perhaps via Quakers who brought their recipe books with them as they came to the colonies. Ice cream soon caught on in popularity, as many of the founding fathers in the United States widely consumed ice cream. In the summer of 1790, George Washington spent $200 on ice cream. Thomas Jefferson had a well known 18-step recipe for creating ice cream. In the inauguration of James Madison, ice cream was served to guests. It was during the 1870s that the sundae developed. At that time, ice cream had now become prevalent. Experimentation on new types of ice creams were common and one of these added soda with ice cream along with fruits and other sweet toppings. However, there was a backlash on eating such foods on a Sunday, a religious day, so the innovators simply took out the soda water and the mixture of ice creams and toppings was eventually called the sundae, although it was spelled sunday initially (changed to avoid criticism from religiously minded people). The use of soda water with ice cream, however, did catch on. The ice cream cone was popularized in 1888 by Agnes Marshall in her recipe book, where she called these cones cornets. It is likely ice cream cones were already known, but her book did make the idea of ice cream cones more known, mostly because of her influence at the time in things related to cooking and food. The key change to ice cream was improvement in electrified refrigeration, or specifically freezing, that spread after World War II globally. The need for having to obtain ice became unneeded after the 1870s. This was because of the development of the electrified freezing process. However, the technology was not perfected until the 1920s, what became the continuous-process freezer, that enabled ice cream to be more easily made and become globally prevalent. Electrification in many regions became only widespread after World War II, which meant that for many regions ice cream only became common after the war. Throughout the 20th century, new developments in various flavors and types, such as the banana split (introduced in 1904), emerged. Another important innovation was the use of more air in the cream and ice mixture, that created a "softer" looking ice cream or what we call soft ice cream that is popular today. The ice cream company Dairy Queen seems to have brought this innovation. Seaweed and other agents are still used for thickening; agar is now more commonly used as an emulsifier to help give ice cream a greater consistency. It is impossible to imagine ice cream without freezers or refrigeration of some sort; however, the origin of ice cream is much more ancient, going back thousands of year to the ancient Near East and China. Because ice was not easily obtained or made, ice cream was considered food for royalty or upper elites who can obtain ice, particularly in warm seasons. Improvement in ice houses, and general technology development in the 19th century, led to the development of ice cream being more spread. With refrigeration, however, ice cream could now be created without having ice on hand, leading to the eventual widespread presence of ice cream. Key developments of emulsifiers, thickeners, and mixing technologies have also led to the texture that we are accustomed to. ↑ For more on early ice cream consumption in the ancient world, see: Weiss, L. B. (2011). Ice Cream: A Global History. London: Reaktion Books, pg. 19. ↑ For more on Roman ice houses and ice cream, see: Vear, B., & Cooper, M. (2013). Ice Cream and Other Frozen Delights. Bath: Absolute Press, pg. 12. ↑ For more on Europe's history of ice cream, see: Quinzio, J. (2009). Of Sugar and Snow: A History of Ice Cream Making. University of California Press. ↑ For more on ice cream's spread to more common classes, see: Arnold, S. J. (2004). Everybody Loves Ice Cream: The Whole Scoop on America’s Favorite Treat. Cincinnati, Ohio: Emmis Books, pg. 14. ↑ For more on the early history of ice cream in the United States, see: DeWitt, D. (2010). The Founding Foodies: How Washington, Jefferson, and Franklin Revolutionized American Cuisine. Naperville, Ill: Sourcebooks. ↑ For more on 19th century developments in ice cream, see: Clarke, C. (2012). The Science of Ice Cream (2nd ed). Cambridge: RSC Publ. ↑ For more on how flavors and types of ice creams developed, see: Funderburg, A. C. (1995). Chocolate, Strawberry, and Vanilla: A History of American Ice Cream. Bowling Green, OH: Bowling Green State University Popular Press. 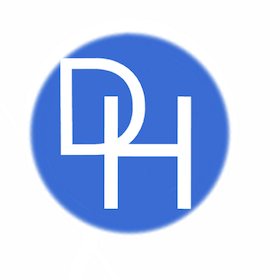 ↑ For more on 20th century developments, see: Goldstein, D. (Ed.). (2015). The Oxford Companion to Sugar and Sweets. Oxford ; New York: Oxford University Press, pg. 348.